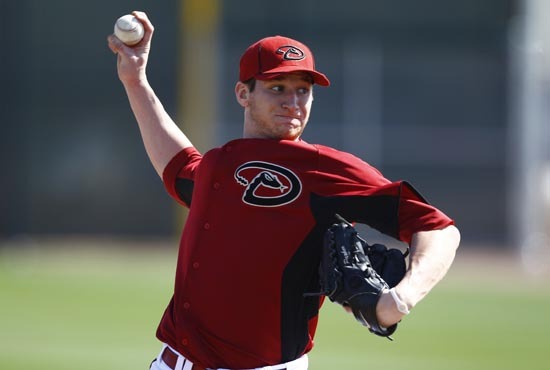 Blessed with one of the deepest farm systems in the Minors, especially on the mound, the D-backs will get their first look at one piece of their potential future Tuesday with the debut of pitcher Jarrod Parker. The 22-year-old right-hander’s contract was selected from Double-A Mobile on Sept. 16, where he went 11-8 with a 3.79 ERA (55 earned runs in 130.2 innings), 55 walks and 112 strikeouts in 26 games this season – his first full campaign since undergoing Tommy John surgery in 2009. Keeping loose with bullpen sessions since his arrival in the Valley, the reality of the situation sunk in for the ninth overall pick of the 2007 First Year Player Draft when he first entered the D-backs clubhouse. Although he won’t be eligible to pitch in the postseason, Parker is grateful to get a chance to show off what’s made him Baseball America’s top D-backs prospect for three consecutive years. For tickets to Parker’s debut, CLICK HERE.